Scientists enrolled residents in 30 low-income apartments that had ongoing German cockroach infestations. Of the 30 homes, 20 were treated with a name-brand total release fogger (TRF), or bug bomb, and and 10 were treated only with gel baits. Baseline pesticide residue levels were recorded in all residences, and new data was collected after use of the bug bombs. Bug bombs were set off in each infested apartment’s kitchen, according to EPA label precautions. Residents waited 4-6 hours before ventilating and returning to their homes. In apartments receiving baiting gel treatments, the products were applied three times on an as-needed basis during the course of a month. Traps were used to gauge baseline cockroach levels and the population response from the treatments. “All the fogger products contained pyrethroids, a class of fast-acting insecticides, and some contained piperonyl butoxide, a chemical that prevents roaches from metabolizing, or breaking down, the insecticide,” said Coby Schal, PhD, Blanton J. Whitmire Distinguished Professor of Entomology at NC State and co-author of the paper. While these products are marketed as effective against German cockroaches, researchers did not find that to be the case. The study indicates there was no significant difference between cockroach population levels before and after the use of any name brand bug bomb. “The bug-bomb products did absolutely nothing to control cockroach populations in these homes,” Dr. DeVries said. Tests conducted one month after the bug bombs were released still showed pesticide residue levels 34% higher levels originally found in resident’s homes. This is unsurprising, as research finds that once applied, synthetic pyrethroids can persist in the home for over a year, putting individuals and families at risk of chronic exposure and subsequent health issues. The U.S. Environmental Protection Agency made minor changes to the labels of bug bomb products in 2008 due to widespread reports of poisoning. Over 450 people had become sick after using a fogger between the years 2001-2005, and a 10 month old boy in Williamston, SC died after his mother used several bug bombs in their home. However, recent data shows EPA’s changes to be ineffective at even slightly reducing harm. Between the years 2007-2015 the U.S. Centers for Disease Control and Prevention indicates that 3,222 unique cases of illness and injury were reported from the use of bug bombs. As the study shows, the only effective means of eliminating cockroach infestations in participants’ kitchens was through the use of baiting gels. Although not used in the present study, Beyond Pesticides encourages the use baiting gels containing boric acid as the active ingredient, as cockroaches are unable to develop resistance to this poison in the same way they may with many synthetic gel baits on the market. Beyond Pesticides objects to research that exposes human subjects to high levels of pesticide residue. Although approved by an ethics board and participants provided informed consent, Beyond Pesticides objects to any study that would leave toxic pesticide residue in participant homes, and suggests this research could be adequately performed without human involvement and exposure. That being said, it is an undeniable fact that every day individuals throughout the U.S. will use a bug bomb in their home in attempts to manage a German cockroach infestation. 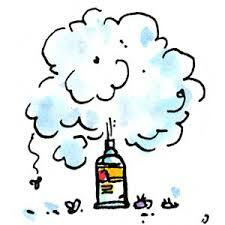 There are a range of ways to take action against toxic, unnecessary, bug bombs. You can start by sending a letter to your state’s Governor urging them to ban bug bombs. Educate yourself on nontoxic methods of managing common household pests like the German cockroach through Beyond Pesticides’ ManageSafe webpage. That way, when a friend, family member, or workplace want to use a fogger, you will have the data you need to make the case for safer practices on your side. This entry was posted on Wednesday, January 30th, 2019 at 12:00 am	and is filed under Bug Bombs, Cockroaches, Environmental Protection Agency (EPA), Pesticide Efficacy, Uncategorized. You can follow any responses to this entry through the RSS 2.0 feed. You can skip to the end and leave a response. Pinging is currently not allowed.